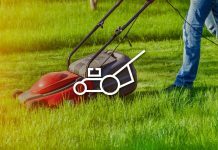 If you’re the proud owner of a home with a front or back yard, then odds are a lawn mower is one of the most important tools you’ll ever buy. 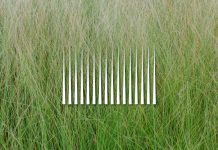 Whether you have acres of land or a tiny patch of grass in the front, you'll need something that can keep the grass from growing too high. 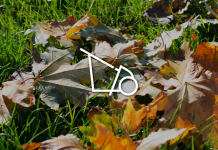 Lawn mowers make that process simple and fast. However, not all lawn mowers are created equal. 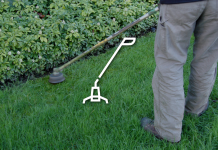 Mowers are usually designed with very specific purposes in mind, which can affect everything from size to quality. The Husqvarna 7021P, on the other hand, leaves them all behind in the dust. Want to know what makes this Husqvarna mower so unique? 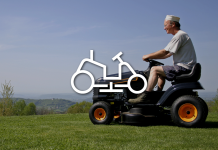 Read on to discover the amazing things this mower can do for you. Husqvarna, a Swedish company that's makes everything from chainsaws to garden tractors. And yes, they also make lawn mowers—exceptionally high-quality lawn mowers. In fact, the Husqvarna 7021P is one of the best lawn mowers on the market. It features a GVC 160 Honda engine, which allows it to outperform many other mowers of the same sizes. But the benefits this mower has to offer don’t end there. The 7021p is a 3 in 1 push mower that has the capacity to collect grass clippings and mulch. It also features a side discharge. The automatic choke system is very easy to start, usually starting on the first pull. Additionally, the mower features six cutting heights and a foldable handle for easy storage, so you don’t have worry about this mower taking up excess space. 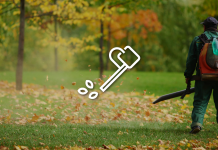 This handle is also adjustable, making it the ideal mower for multiple users. The great thing about the 7021p is that it runs very smoothly. It has five different wheel heights, allowing users to adjust the wheel for better maneuverability. The 21-inch mower handles a variety of terrain with ease; it’s able to work around tree roots, bushes, and even hills. 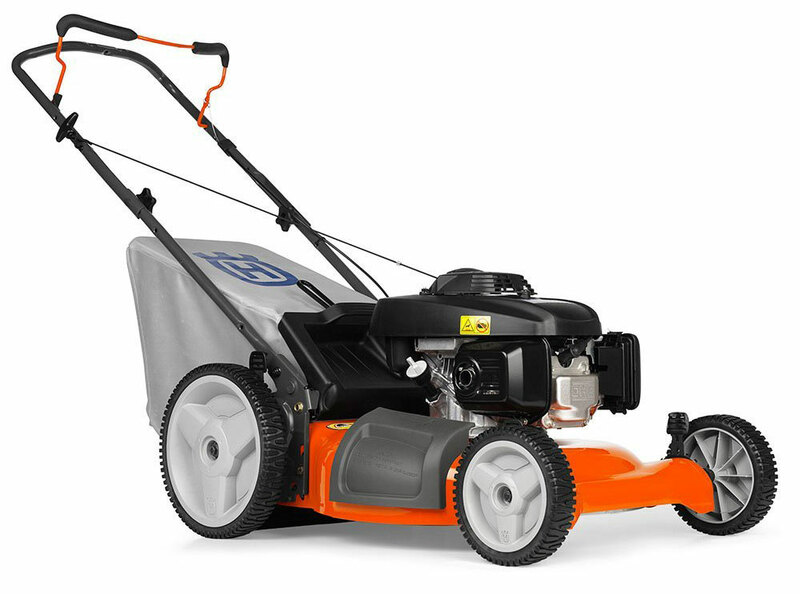 What really sets this Husqvarna lawn mower apart, however, is their manufacturing quality. Husqvarna mowers are known for their exceptional design and manufacturing, and the 7021 is no different. This mower is designed to work for smaller yards, but it has the power to take on huge jobs. In fact, if you have a large yard (about an acre or less) then this mower is a great investment for you. It's one of the best products in this particular price range, and its engine is so powerful that it can actually outperform more expensive models. Additionally, this is a high-quality mower that’s built to last, with many reviews citing that it’s been around for years. In fact, the manufacturing is so high-quality that it will usually give you a great cut the on the first swipe, which means that mowing the lawn takes less time and less effort. The unit is also incredibly durable and is designed to take on even the toughest jobs, such as mulching large acres of land. Like most Husqvarna mowers, it’s backed by a two-year manufacturer warranty, which covers Husqvarna 7021p parts, defects, and labor. Other than the GVC 160 Honda Engine and it's three cutting styles, the Husqvarna 7021p has a 21-inch cutting width, with six cutting height adjustments. It also provides users with four-point height adjustment. This particular mower also features 0.98-quart fuel tank, giving you enough gas to get everything you need to done in fewer rounds. The cutting blades on this particular model are made from stamped steel and rarely need sharpening. Since this mower is designed to cut grass in three different ways (clipping, mulching, and side discharge) it also features a removable clipping bag. 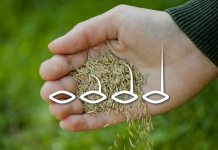 In one run, this bag can collect up two bushels of grass. With 12-inch rear wheels that feature double ball bearings, this mower is also designed to move with ease. Finally, this mower is one of the more compact models of its kind, which makes it great for storage in tight spaces around your garage or shed. What are some of its biggest advantages over other lawnmowers? There are a few areas where Husqvarna mowers generally outperform other lawn mowers, and this one is no exception. Firstly, its overall design makes it easier to push than other lawn mowers, which can easily snag in tall grass or struggle on uneven terrain. Additionally, since it’s a gas-powered mower, rather than electric or battery powered, it’s more powerful compared to those models. You also don’t have to deal with extension cords and dying lithium batteries. Also, unlike other mowers, this Husqvarna lawn mower is easy to set up. Many other mowers require you to do some minor assembly, but that’s not the case with this product. Instead, all you do you is add the correct oil (which actually comes with the mower) and add the gas. Lawnmower assembly has never been quite so simple. How does it fare with other gas-powered mowers? 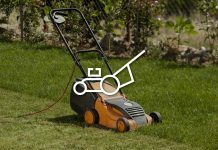 Even compared to other gas-powered lawn tools, this mower is still in the lead, especially compared to gas mowers in this price range. While a lot of gas models can take numerous pulls to start, the fast start feature on this mower means that it usually starts on the first pull—saving you time, energy, and not to mention frustration. Additionally rarely will you find a gas powered push mower with so many operation options. On this Husqvarna push lawn mower there’s a range of adjustments that improve the overall quality of the results. From 6 cutting height positions to three different ways to manage grass clippings, this model is designed to give the user a high level of convenience and quality. 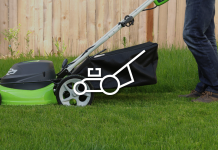 The fact that users get all of these amazing benefits at a mid-range price, makes this Husqvarna lawn mower a great deal for the majority of users. Since this mower comes with such a wide range of cutting options, from 1.5 to 3.5 inches, you’ll find that cutting your lawn is a breeze. Most of the time, this machine cuts grass to your desired length of the first swipe. Rarely will you ever have to go over the same area twice. Part of the reason this product is so powerful is because it all the torque power is targeted at cutting. Often times, you don’t get this same effect with a self-propelled mower because a lot of the engine’s power goes towards running the mower. The only time you may find yourself in need of running the mower over multiple areas twice is if your grass is particularly tall. In those cases, however, this machine makes quick work of lawn mowing thanks to its precision cuts. Additionally, this product is great at producing consistent mulch. In fact, its mulching system is so advanced that doesn’t just mulch grass, but it can also mulch leaves as well. What terrain does it work best in? Another thing that makes this Husqvarna push mower different from others is its ability to take on even the toughest terrains. While running over things like roots and large bumps can trip up a lot of mowers, this mower isn’t so easily fazed. In fact, you can still get a pretty great cut even on uneven terrains like small hills or humps. Of course, ideally, every mower works its best on flat, even surfaces. On level ground, the Husqvarna mower provides users with exceptional performance that’s equal to far more expensive pieces of equipment. Unlike an electric mower, gas mowers don’t rely on a battery. Instead, they run on a fuel engine. On the outside, this machine will roar to life once you pull the starter cord. However, on the insides, the process is a little more complex. The fuel engine works through a series of interconnected events. Once you pull the starter, the flywheel begins to spin. As it spins it causes the crank to cycle, which in turn moves the piston. As the piston moves, it creates a chamber that enables the entrances of fuel through the carburetor. At the same time, the magnets on the flywheel strike against the ignition coil as the wheel rotate. With each connection between the magnets and the ignition coil, a magnetic field is created, which then creates electricity. As that happens, the ignition coil then begins sending volts of electricity to the spark plug. The plug then ignites the mixture of fuel and air in the carburetor as the piston pushes upwards, which powers the engine. 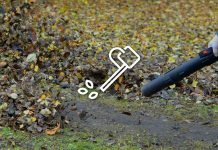 While its process is more reliable than a battery, which can easily run out of charge or stop working altogether, there are instances where your gas mower will need maintenance. After lots of use, one of the first things to wear out is the spark plug. Without a spark plug, starting your mower is almost impossible. However, even on this Husqvarna mower, changing the spark plugs shouldn’t be difficult. In fact, if you're especially handy you can probably make the change yourself. However, if DIY projects aren't your thing, it's an easy part to get serviced. How loud is the engine? Unfortunately, another area where the Husqvarna 7021p has other mowers is volume. Compared to other mowers (especially electric mowers) this product is a little loud. 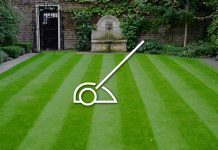 In fact, if you’re looking for a very quiet option, you should check out these electric lawn mower reviews. Yet, the difference isn’t particularly deafening. What’s more, what this product lacks in sound control, it makes up for in exceptional performance. Let’s be honest, garages are cramped enough without trying to find room for another yard tool. Between all the stuff you’re probably storing in your garage and the tools, it’s almost near impossible to find a place for everything. Adding a new lawn mower to the mix can feel like you're hoping for the impossible. However, this Husqvarna push mower provides a great solution to this problem. Since it’s more compact than a lot of other mowers of the same approximate size, this mower doesn’t take up much space. One of the best perks to this product is the foldable handle, which enables you to store this product in tight spaces. With this handle design, you could probably even manage to place this mower on the bottom level of your garage shelf, which gets it totally out of your way. 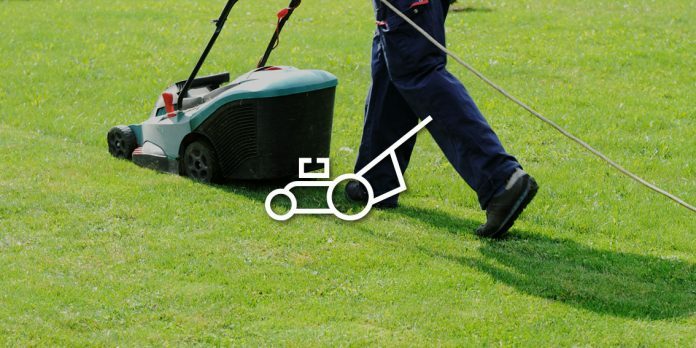 A dependable lawn mower is your yard’s best friend. 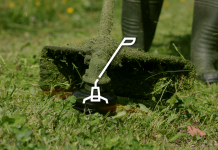 It keeps your lawn neat and your yard appealing to spend time in. Having a lawn mower than can handle any task can make the process a lot easier. So don’t just settle for any lawn mower. Finding a high-quality lawn mower like the 7021p can make all the difference in the world; not only in the amount of time you spend mowing the lawn, but also in the great results you’ll enjoy. Even more importantly, don’t forget that finding an affordable mower of exceptional manufacturing and performance is rare and the 7021p fits all of these requirements. So why waste another moment buying mowers that are subpar in the name of affordability? Just buy Husqvarna’s 7021p instead.